The news agency has said one of its websites was hacked in order to spread fake stories about Syria. THE REUTERS NEWS agency says that one of its websites was hacked into and used to disseminate fake stories about Syria’s rebel movement. One of bogus blog posts claimed that rebels had acquired chemical weapons from Libya and were preparing to smuggle them into Syria. There was no immediate indication of who was behind the Friday attack, although both opponents and supporters of Syria’s government have routinely engaged in acts of electronic sabotage. One loyalist group, the Syrian Electronic Army, recently promised a wave of attacks against what it described as “fake revolution” websites. 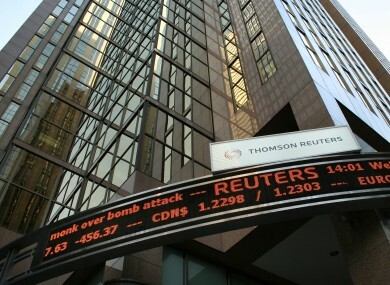 Email “Reuters says blogging platform hacked”. Feedback on “Reuters says blogging platform hacked”.